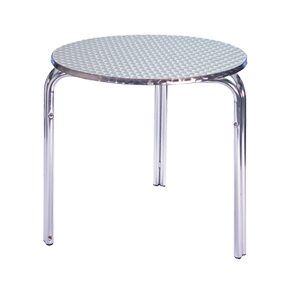 Our brushed aluminium cafe tables can be used indoors or outdoors and immediately extend a dining or seating area giving you more options with your space. Ideal when used with the matching cafe chairs, they create a relaxing ambience and are designed to be hard wearing, rust and weather proof. 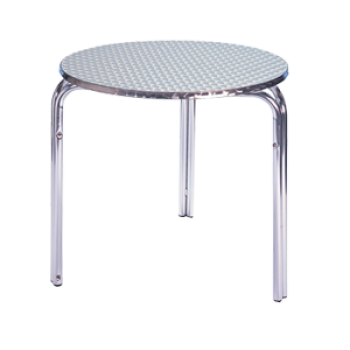 This is just the right table for the catering trade and is perfect for cafes, pubs, restaurants, hotel patios and bistros.